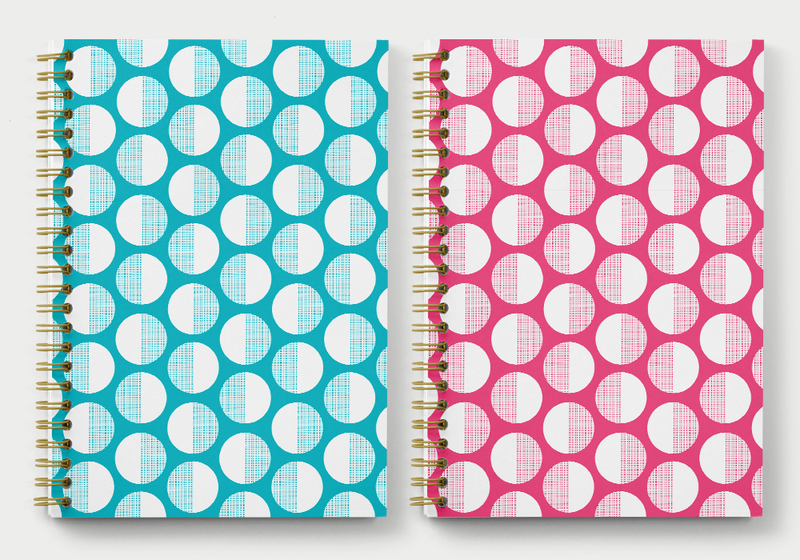 I was approached by Jasper + Black to develop patterns for office supplies for a major office supply and storage and organization client. I was provided with four distinct trends to design to, as well as a tight color palette to design within. 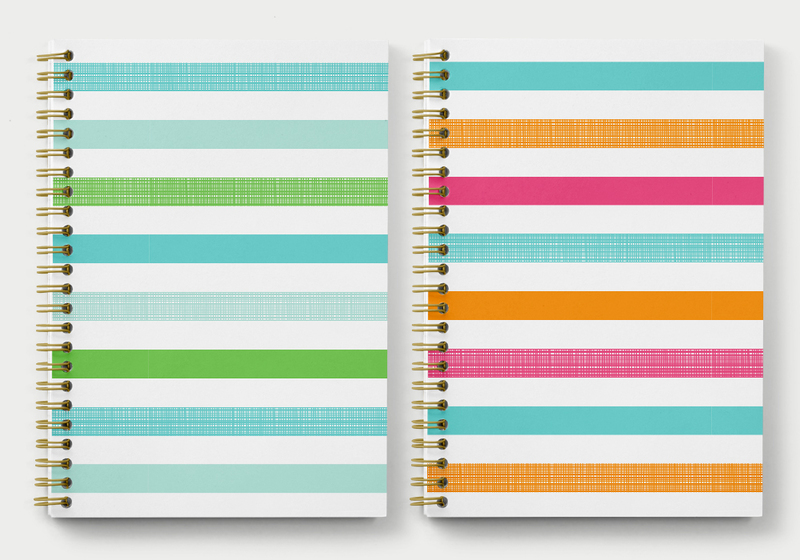 The gallery above shows a small sampling of the patterns developed across the trends applied to notebooks for concept only.